An ingenious dystopian novel of one young woman's resistance against the constraints of an oppressive society When a recklessly idealistic girl in a dystopian future society dares to test the perimeters of her tightly controlled world, she is punished by being sent back in time to a region of North America – ‘Wainscotia, Wisconsin' – that existed eighty years before. Cast adrift in time in this idyllic Midwestern town, she is set upon a course of ‘rehabilitation' – but she falls in love with a fellow exile and starts to question the constraints of her new existence, with results that are both devastating and liberating. Arresting and visionary, Hazards of Time Travel is an exquisitely wrought love story, a novel of harrowing discovery – and an oblique but powerful response to our current political climate. Clever, wealthy, married to a beautiful woman: Roger Brown has it all. And his sideline as an art thief keeps him busy when his job as a corporate headhunter gets dull. Then his wife introduces him to Clas Greve. Ambitious and talented, he’s the perfect candidate for a top job Roger needs to fill – and the priceless painting he owns makes him the perfect target for a heist. It´s never too late to start again. And Again. It’s always awkward when five thousand kronor goes missing. When it happens at a certain grotty hotel in south Stockholm, it’s particularly awkward because the money belongs to the hitman currently staying in room seven. Per Persson, the hotel receptionist, just wants to mind his own business, and preferably not get murdered. Johanna Kjellander, temporarily resident in room eight, is a priest without a vocation, and, as of last week, without a parish. But right now she has two things at her disposal: an envelope containing five thousand kronor, and an excellent idea . . . Featuring one violent killer, two shrewd business brains and many crates of Moldovan red wine, Hitman Anders and the Meaning of It All is an outrageously zany story with as many laughs as Jonasson’s multimillion-copy bestseller The Hundred-Year-Old Man Who Climbed Out of the Window and Disappeared. When the Knight Bus crashes through the darkness and screeches to a halt in front of him, it's the start of another far from ordinary year at Hogwarts for Harry Potter. Sirius Black, escaped mass-murderer and follower of Lord Voldemort, is on the run – and they say he is coming after Harry. In his first ever Divination class, Professor Trelawney sees an omen of death in Harry's tea leaves … But perhaps most terrifying of all are the Dementors patrolling the school grounds, with their soul-sucking kiss. Secrets and suspicion are spreading through the wizarding world, and Hogwarts itself is not safe. Harry is convinced that Malfoy bears the Dark Mark: there is a Death Eater amongst them. Harry will need powerful magic and true friends as he explores Voldemort's darkest secrets, and Dumbledore prepares him to face his destiny. As he climbs into the sidecar of Hagrid's motorbike and takes to the skies, leaving Privet Drive for the last time, Harry Potter knows that Lord Voldemort and the Death Eaters are not far behind. The protective charm that has kept Harry safe until now is now broken, but he cannot keep hiding. The Dark Lord is breathing fear into everything Harry loves, and to stop him Harry will have to find and destroy the remaining Horcruxes. The final battle must begin – Harry must stand and face his enemy. Hlavní hrdina Edmond Dantes, mladý námořní důstojník, je bez soudu uvězněn v nevlídné pevnosti na ostrově If. Po čtrnácti letech zoufalství a beznaděje uvidí záblesk naděje. Když zemře jeho jediný přítel abbé Faria, převlékne se do jeho rubáše a takto přestrojen za mrtvého je pohřben svými vězniteli do moře. Ale právě to je jeho plán, jak utéct a pomstít se těm lidem, kteří mu ublížili. Hrabě Monte Christo je jednou z nejobsáhlejších a nejslavnějších Dumasových knih, ve kterých autor zobrazil barvité dějiny Francie v první polovině devatenáctého století. Extensive reading is essential for improving fluency and there is a real need in the ELT classroom for contemporary, low-level reading material for younger learners. The Ice Age films are popular with children around the world for their humorous, lovable characters and their themes of friendship. 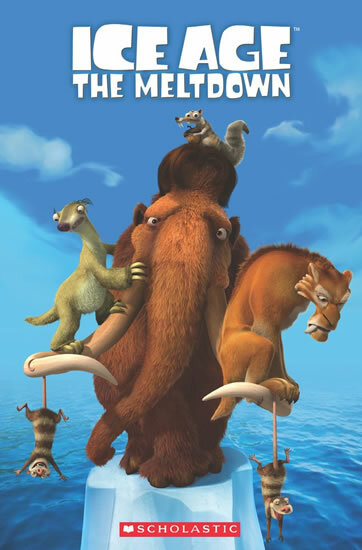 Ice Age 2: The Meltdown Popcorn ELT Reader is based on the second film in the franchise. Extensive reading is essential for improving fluency and there is a real need in the ELT classroom for contemporary, low-level reading material for younger learners. The Ice Age films are popular with children around the world for their humorous, lovable characters and their themes of friendship. 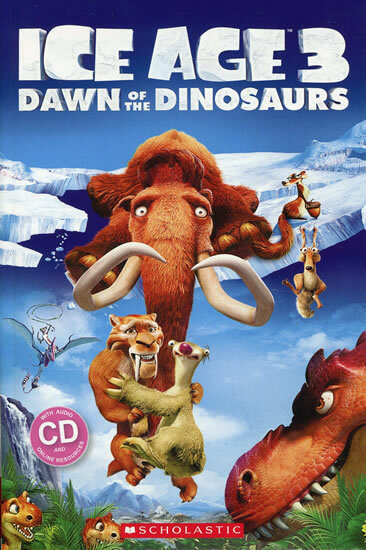 Ice Age 3: Dawn of the Dinosaurs Popcorn ELT Reader is based on the third film in the franchise. 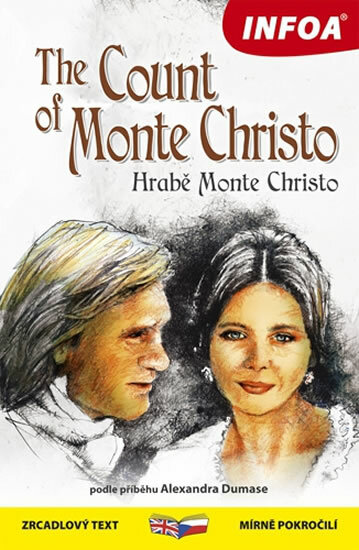 This title comes with a CD recording of the story. Here, Keri Smith begins with a list. Writing down everything the reader is drawn to, from things they love or collect to things that fascinate and excite, including objects, colours, sounds, textures, memories, places and people, the list serves as the building block for the creation of a new world. This world is based entirely on who the reader is as an individual, and as such is completely unique. Prompted to think about landscape, place names, maps, currency and more Keri Smith encourages everyone to push their imaginations to the limit.